Simbe Robotics has installed its inventory robot – Tally – in a Decathlon store in San Francisco, in the US. Tally is claimed by Simbe to be “the world’s first fully-autonomous inventory robot”. 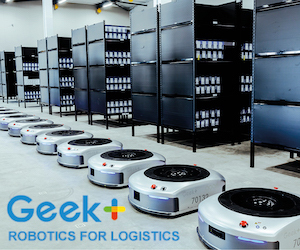 The installation marks the start of a formal partnership between Simbe Robotics and Decathlon USA, which is said to be the world’s largest sports retailer. The partnership kicks off with the application of Tally in the sporting goods retailer’s inaugural US store located in San Francisco, California. Decathlon opened its first store in Lille, France in 1976 and has since expanded to become the world’s largest sporting goods retailer, operating over 1,414 stores in 45 countries across the globe and designing its own brands. The retailer opened its first US store in April 2018 in San Francisco. The unique space, dubbed a Lab Store, is designed to foster dialogue between the company’s team of designers and athletes, where the in-store team gathers feedback from customers, which drives innovation in product development and helps evolve in-store experiences. In order to further enhance the customer experience, the Decathlon USA team has taken a forward-thinking approach to building IT infrastructure and exploring innovative solutions. 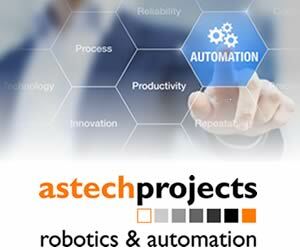 One such foundational tool that the team has implemented is Simbe Robotics’ Tally. Earlier this year, Simbe announced the integration of RFID technology, and Decathlon is one of the first retailers in the world to partner with Simbe to leverage Tally’s RFID capabilities. Tally will use RFID and computer vision technology to capture, report, and analyze the quantity and location of store inventory. Traditionally a task required of the store team members, now Decathlon’s in-store team can focus on delivering a great experience and engaging with every shopper and athlete who comes into the store. Tony Leon, chief technology officer at Decathlon, says: “When launching our first store in San Francisco, a city at the forefront of innovation, we invested in ground-breaking technology that could help us rethink the brick-and-mortar retail experience. Tally is a robotic to help solve the “ghost economy” that costs global retailers nearly $1.75 trillion annually as a result of high demand in-store environments and on-shelf blind spots. Since launching in 2015, Tally has been deployed by 11 leading international retailers, and is now equipped with RFID scanning technology. visual audits of merchandise and inventory layout optimization. Brad Bogolea, chief executive officer at Simbe Robotics, says: “Decathlon’s uniquely designed San Francisco flagship store is an environment that fosters significant interaction between customers, product, and store associates; with that comes unique merchandising challenges.